Got it figured out now. Thanks again for the follow as all grow together in Him. I am excited to hear that as well! 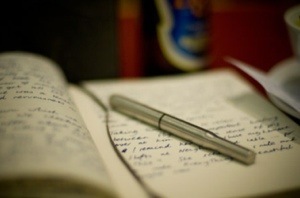 My heart felt warm when I read that you journal as well!! Don’t we wish the whole world knew He is so real? It is indeed talking to a real person. Blessings to you. Same here ! and indeed 🙂 Sometimes I wonder if people stray from knowing Him because the hope and reality is almost ‘too good to be true’ 😛 Blessings, and have a great day! Hey, beyesa… Hahah. Kon ba hanjami?? Ainda mi ta bezig ta disenando e site aki prome ma laga hende sa, luga ba ganami. Ta bo a enkurashami pa try out WordPress paso maske mi tabata nobo riba blogspot, mi tabata hanje hopi frustrante pa usa. Awel ma tira un tek aki y mi di lagami purba wak si e ta mas user friendly y enberdat mi a keda enkanta! Hopi hopi mas fasil pa usa ku blogspot. Mi lo mantene e otro pa wak si e ta sigi krese y si no, mi ta keda ku esaki so. Mi ta follow bo awor. Bo sa, den 5 dia di usa blogspot, ni un comentario, ni un follow, niun kontacto maske ku mi ta mira ku hopi ta lesa, dus e sistema lo no ta user friendly ni pa conekta ku otro. Y aki den 1 dia ya kaba varios comments y follows, etc. i feel very welcomed. Haha. Glad to connect with someone else who likes to journal! After the day’s Bible reading, I look over what I just read, see what stuck out to me the most and write that passage down. Then, I write. Sometimes a prayer, a poem, or simply thoughts are the result. In January I began a blog…which is my journal in tweaked form. Appreciate your follow! Yay! I love to connect with others who journal too. Will look forward to read your entries you post!! I have that book also and it has blessed me also. My parents in law are pastors and teach using it. It has totally changed my prayerlife!! Glad to hear from others who live the same material. hahah, great. Bo a animami asina tantu!!! I pray God continues to touch you daily as you read. Bo por klik riba “like” riba tur ku tabata di bendishon pabo. Hi Lisette , I’m enjoying reading your blogs. Hopefully I will begin journling. I’d love to read that book Maybe I can find it on amazon. Hey Tracyyyyy, I wanted to call you this past week but don’t have your number anymore. Since I am not on FB anymore, we haven’t connected. I will go email you next… Glad you enjoy this blog. I nominated you for the Inner Peace Award. Thank you very much for stopping by, for commenting, for the likes and in particular for being such a wonderful person! Danki Senora linda! Mi ta apresia un mundu! Mi no sa lesa muchu blog si no. Dibo y kisas 3 mas. Mi dia ta pasa asina lihe. Mi ta spera di por sigi saka tempo pa blog mas a menudo…. Enjoyed your site, you have inspired me do more. I love it!!!! I wish all abused women found Jesus in this intimate way!!!!! Glad we did!!! !